NTv2Tools geospatial software provides a toolbox for developing and processing NTv2 files in binary and ASCII format. 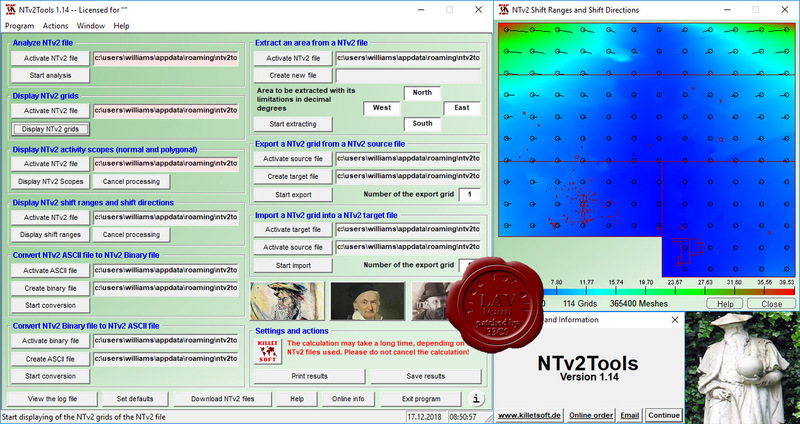 The available tools can be used to analyze and manipulate NTv2 files and represent the results on the screen and on the printer, as well as in graphics and in files. 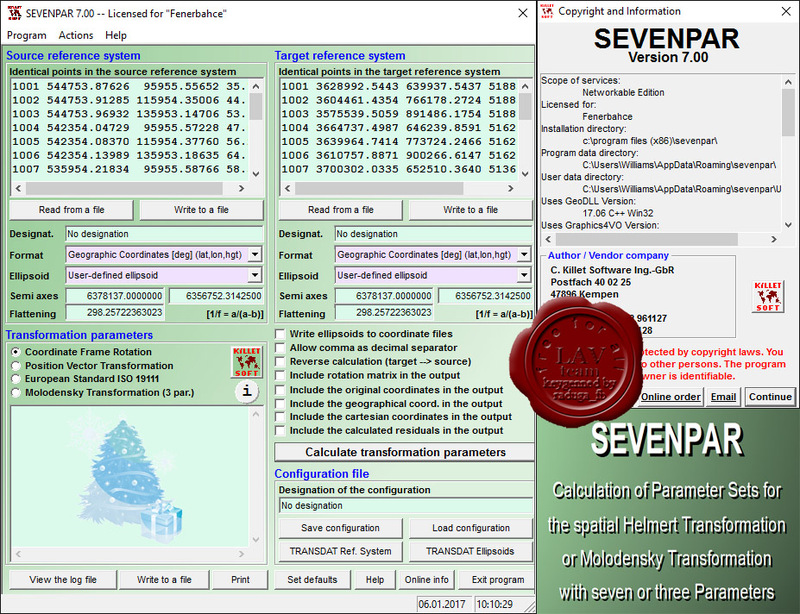 SEVENPAR calculates from identical points in different geodetic Reference Systems precise parameter sets for the Spatial Helmert, Bursa-Wolf and Molodenski transformation with seven respectively three parameters. 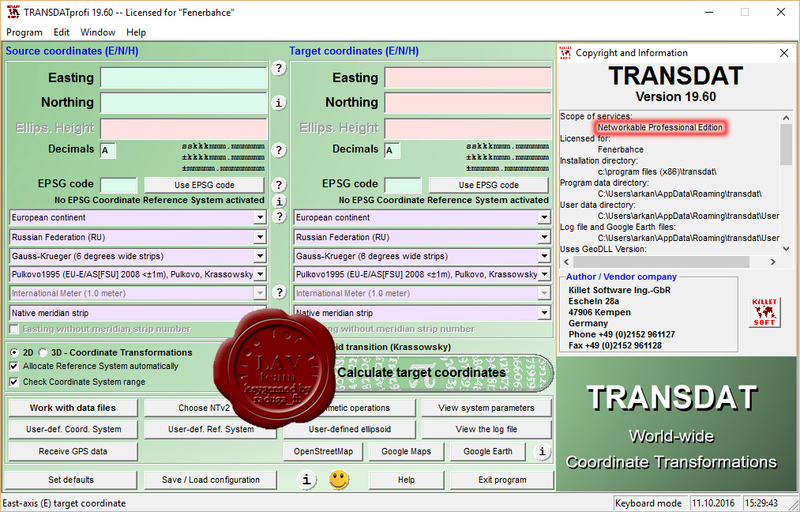 The parameter sets can be used by GIS and transformation programs to compute Coordinate Transformations with accurate datum shifts between the Reference Systems. DRAGSENS is a geodetic software for the exact position estimation of a towed body, sensor, camera, array or net, dragged behind a ship, aircraft or vehicle, dragged underwater, at water, at earth surface or by airborne in real-time based on the location of a GPS-receiver. 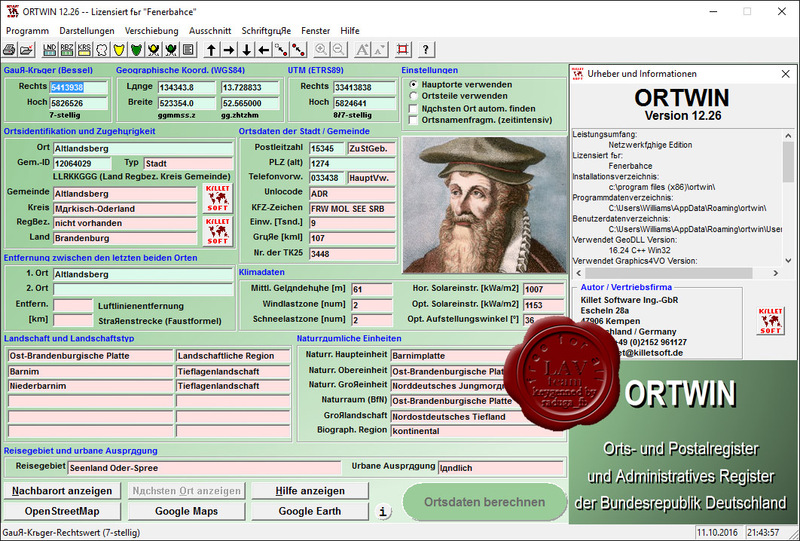 ORTWIN is a program for the country-wide inquiry of the localities in Germany to find towns, urban districts, postal zip codes, telephone pre selections, coordinates and elevations, landscape and climatic data and to perform perimeter searches and distance calculations.